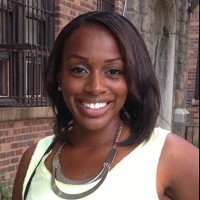 Jatae has nine years experience working in college access and enrichment programs. Some of her prior work experience includes New York University's Science and Technology Entry Program and GEAR UP Program at Lehman College. She currently serves as the Director of College Counseling for the College Bound Initiative at the Urban Assembly School for Applied Math & Science. She is charged with increasing college enrollment, retention and success rates by creating systems and structures to address student and family needs. Jatae's work focuses on supporting families through early awareness, college applications, financial aid, college choice and transition. Jatae holds a BA in Journalism and Business and a MA in Educational Leadership, Politics, and Advocacy from New York University.